Being prepared and knowing what to expect from your pool builder is pivotal to a successful project and experience. This is why Nepean Pools goes to great length to ensure transparency through out the process along with the products that we recommend. Listed here are the essential warranties you will need to be aware of when choosing us as your builder. A 6 year warranty is offered on all installation work, which is industry standard across NSW. Warranties can range from 25 years upwards. All Aqua Technic fibreglass pools include an Extended Lifetime Structural Warranty. Some interior surface guarantee's are only up to 10 years for other manufacturers. All Aqua Technic fibreglass pools include Pool ColourGuard® with a Lifetime Interior Surface Guarantee* against fading. Warranties will also differ depending on what products are installed on your swimming pool (eg. Pumps, Filtration...). 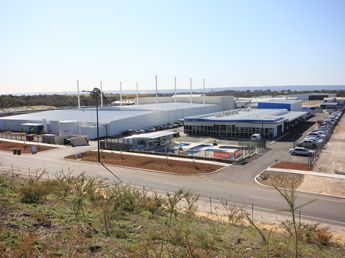 In May 2015, Aqua Technic's new state of the art fibreglass pool manufacturing facility launched. Continuing to show that being leaders in building technologically superior products is a constant evolution of improvement. Specialising in Fibreglass Pool Installations, with experience and knowledge in concrete pools. Building to and improving upon the Australian Standard Installation requirements. Internal Training Programs through SPASA education. A strong company with National Agent Awards for successful growth. A reliable company exporting to countries all over the world.